Big snow storm heading to Ottawa today…I want spring to come instead. For more Six Word Friday gems, head over to Melissa’s blog. * Tree image – credit to Loren Sztajer via Flickr. I am ready for Spring too! But the weather is misbehaving in MissouREE today and trying to imitate winter! And I read your BIO and I love a Thanksgiving kind of dinner any old time too but it has to have my homemade noodles! A lovely Six Word Friday! Is it though, Sara…is it? 😉 Really, I just want it to be March! The weeping cherry is lovely! I like the weeping cherry trees, too. Hope the bad weather leaves you alone. I love your picture! 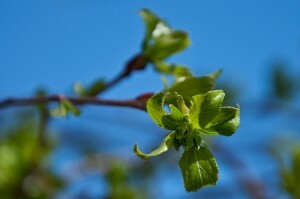 My Six Word Friday was similar too re the bare trees now leafing out nearly TWO MONTHS EARLY. This is just way too soon.